Seconds Sale weekend will begin with our Spice It Up! 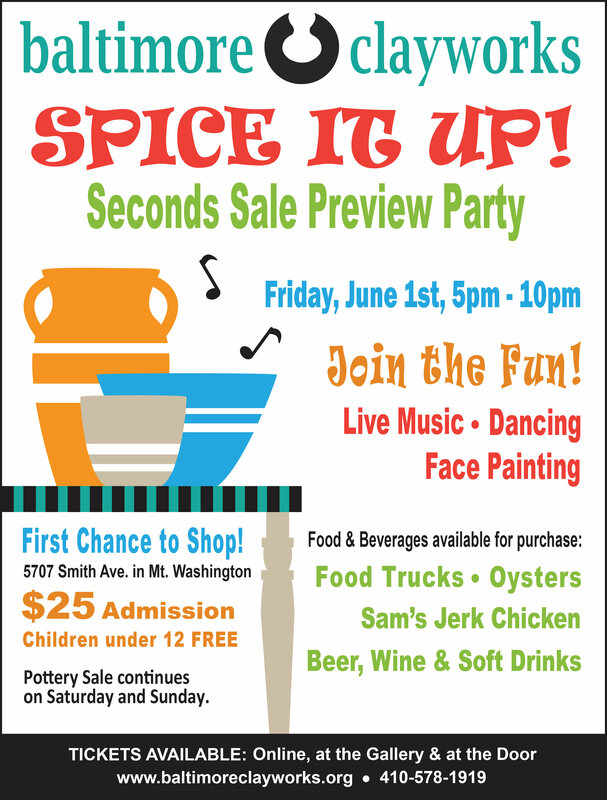 Preview Party on Friday, June 1st, from 5pm - 10pm. 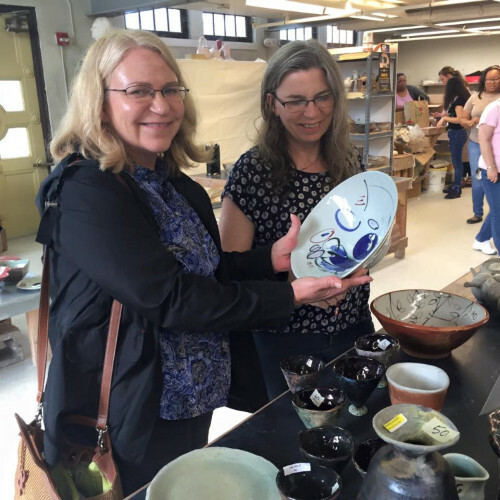 The Party will be your first chance to shop from hundreds of pieces of pottery, sculpture, and ceramic objects at discounted prices. Join the fun as you enjoy live music, dancing, face painting, and our great selection of food and beverages available for purchase. There will be 2 food trucks, oysters, Sam's famous jerk chicken, beer, wine, and soft drinks. Seconds Sale will then continue Saturday and Sunday with free admission.